I was happy to see my Nephew Colin this week during the Holiday weekend. I was even happier when I heard about a little encounter he had today at his school in Atlanta. Turns out that the demagogues have lost again… They might have beaten us with successfully banning And Tango Makes Three, but the Gays have kids on their side! 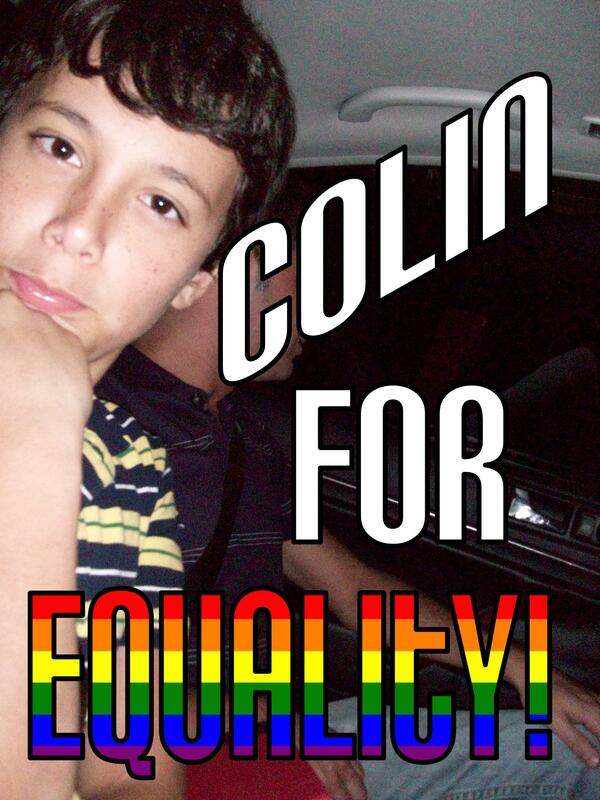 For his part for the Cause Colin becomes the Daily Struggle’s first Kid for Equality! Join our Facebook Fan Club! Oh the Struggles WE Have Seen!